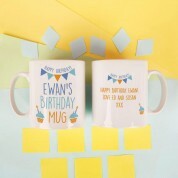 Surprise him on his birthday with this fun keepsake gift. 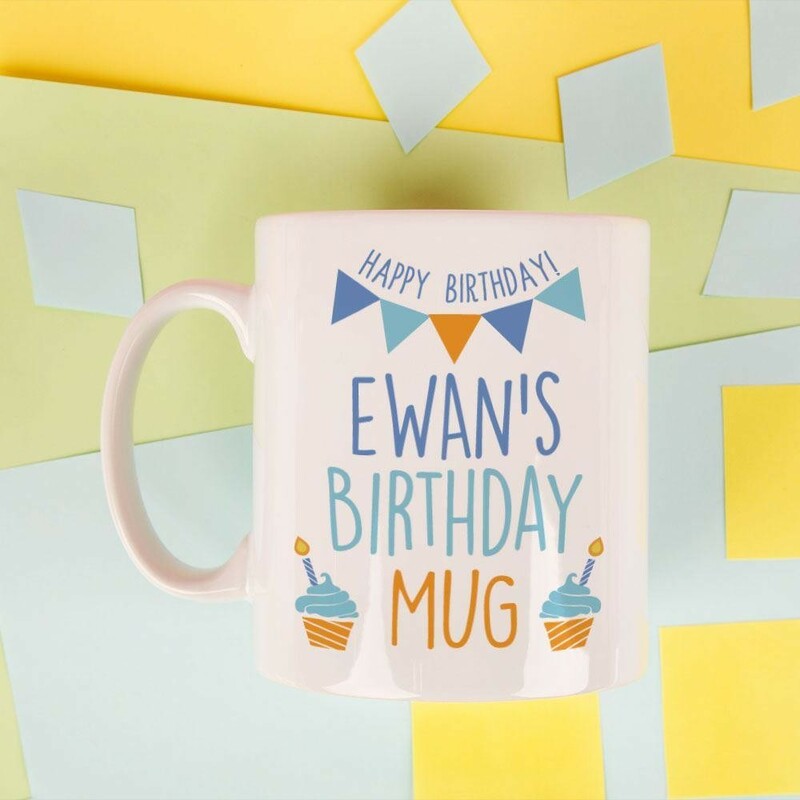 Our Happy Birthday mug is a great way to brighten up the table on his birthday! 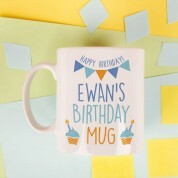 The colourful design features bunting and cakes, with the front personalised with his name and "birthday mug" text. The back has space for your own special message to him. 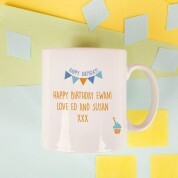 Treat him with breakfast in bed on his big day, made even better with his personalised mug!